The Chinese word “Qi“, translates as “lifeforce or energy” and the word “Gong“, translates as “working with”. Therefore “Qigong” simply means, working with lifeforce (energy). Stress management, learn to breathe, connect your mind and body, feel more balanced, become centred and focused. You will learn ancient techniques using gentle exercise, breathing, alert meditations and Qigong forms, to balance your emotions and find clarity in your life. You will feel your entire body Smiling. This meditation is the first and most important exercise used by Taoists. 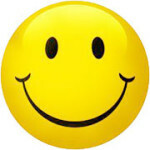 Through the Inner Smile you will become open to yourself through feeling. Feelings are essential and without them Taoist practices become theoretical. Feelings are important to keep you centered and grounded. You will learn this special meditation and become in touch with your organs. The Healing Sounds are special frequencies of sounds which create vibrations combined with arm movements, that transform negativity into life force and will keep your emotions in balance. Each organ has positive and negative emotions. Being emotionally not in balance will increase the possibility to get ill. By altering the energy flow through the major organs we begin to have a direct effect on the emotions and the way we feel. These easy to learn exercises are best practiced before going to bed each night. Everyone has negative influences that effect them each day, such as pollution, foods, negative energy from other people etc. Balancing your emotions in your organs each night will allow your body to heal itself and you will have a more restful sleep. The Micro Cosmic Orbit is a circular path up the spine and down the chest connecting with the complete acupuncture meridian systems of the body. Once your Micro Cosmic Orbit is opened, your vital organs can enjoy a free flow of healing energy. Daily practice generates the feeling of personal power and the ability to efficiently carry out our purpose. After each of the Taoist energy practices that you do, it is essential to circulate the energy that you have gained, through your Micro Cosmic Orbit to keep the orbit open and then, properly store this energy in your original force. Formerly secret, powerful internal and external Qi Gong practices useful in Martial arts, healing and meditation. Iron Shirt develops a flexible, “steel-like” body, strengthening and packing Qi into the tendons, ligaments and muscles. These exercises are fantastic for correcting and maintaining good posture. With this you will find it easier to circulate your Qi in your Microcosmic Orbit. 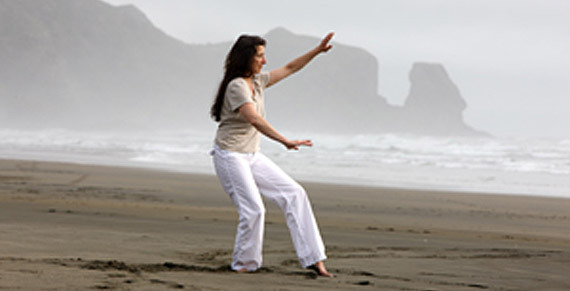 Gabrielle is one of my teachers and mentors for Qigong. Gabrielle lives and teaches the Taoist lifestyle, which she has done for over 30 years and is her life’s vocation. She is an International Healing Tao Senior Instructor and is authorized to train Associate Instructors. Gabrielle works closely with The Founder of the Universal Tao System, Master Mantak Chia. Her gratitude and deep respect goes to Mantak Chia, who gives his teachings so generously to the world. Gabrielle’s background also includes study in Taoist Dream Yoga, I Ching and Inner Alchemy. Gabrielle is trained as an authorized Feng Shui Consultant at the Feng Shui Institute in Germany. Tao Motion offers exercises and new ways of mindset for modern life style. Check out the ongoing classes in Christchurch, retreats in New Zealand on the time table and 1-1 tuition offer for personal assessment.